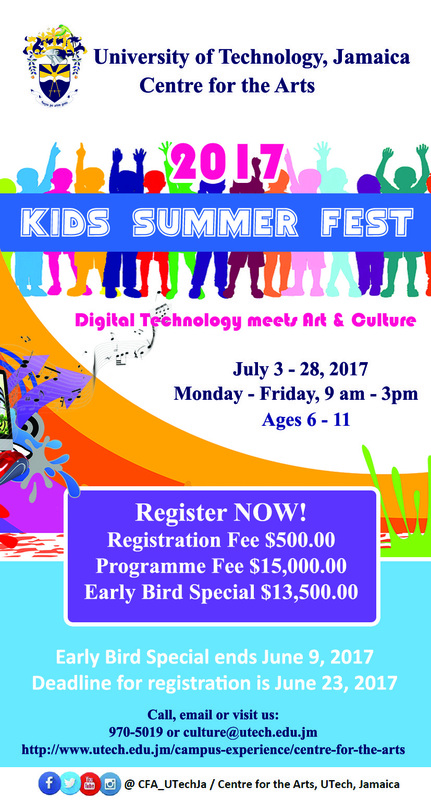 UTech, Jamaica Arts & Culture Summer Programme for Children to Highlight Jamaican Oral Traditions through Digital Technology — UTech, Ja. The University of Technology, Jamaica (UTech, Ja.) through its Centre for the Arts will host the summer programme for children dubbed, “Digital Technology Meets Arts and Culture” from July 3-28, 2017 at the University’s Papine campus. The creatively packaged programme offers the diversity of both tangible and intangible cultural heritage and will expose participants to a unique educational and recreational experience. The UTech, Jamaica cultural summer programme is open to children 6-11 years old. The rich syllabus will comprise a number of activities including engaging aspects of Jamaica’s history through drama and poetry, documenting personal and community histories through visual arts, unwritten customs and beliefs such as storytelling, legends and riddles, learning traditional dance forms and discovering the hidden messages within folk songs to highlight the importance of maintaining these unwritten historical customs within any given society. A distinct feature of the 2017 programme is underscoring the role of Digital Technology to aid in the safeguarding of cultural assets modelled from UNESCO’s flagship World Heritage Education Programme (which gives young people an opportunity to voice their concerns and become involved in the protection of common cultural and natural heritage of the world). The participants will benefit from the tutelage of some of Jamaica’s leading arts and culture educators and practitioners, as well as experts from the creative industries who will conduct specialized workshops and provide the highest quality in content delivery. Persons interested in registering for the UTech, Jamaica “Digital Technology meets Arts and Culture” summer programme are invited to contact the Centre for the Arts at 970- 5019 or via email, culture@utech.edu.jm by Wednesday June 28, 2017. The University of Technology, Jamaica Centre for the Arts was established in 1998 to lead cultural programmes and initiatives at the University. The Centre currently offers electives and extracurricular programmes to UTech, Jamaica students, staff and alumni in the visual and performing arts and produces a range of internal and external cultural events. File Photo: Campers, tutors and UTech, Ja. 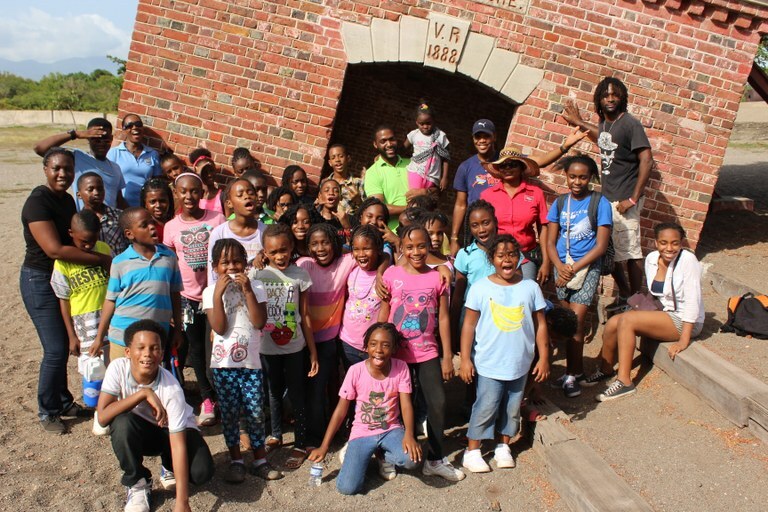 Centre for the Arts administrators on a trip to the historical “Giddy House” in Port Royal on July 22, 2016.